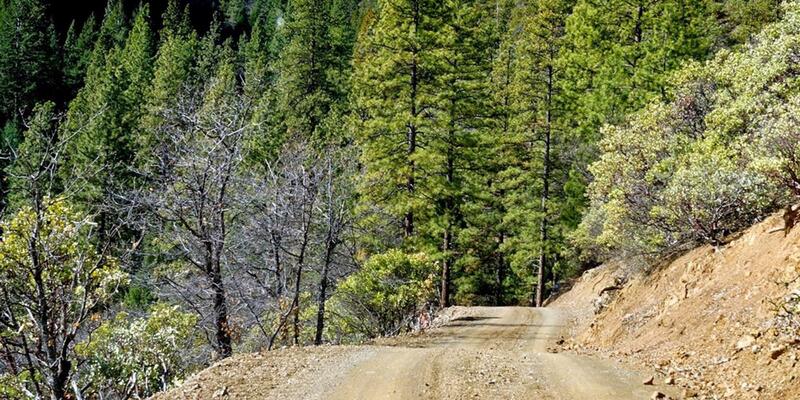 Ideal recreation property. 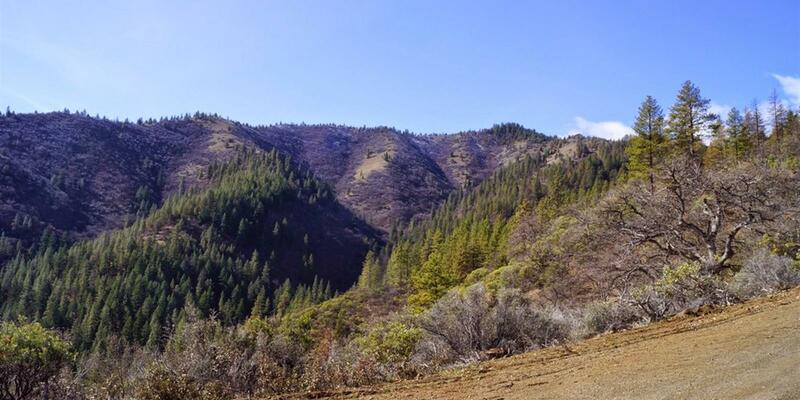 Just 2 miles west of California Interstate 5 and a few miles south of the Oregon border, this beautiful mountainous acreage offers many opportunities to the outdoor adventurous. 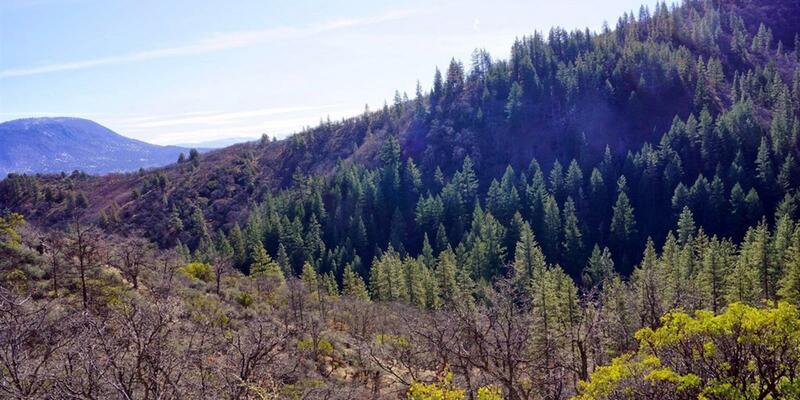 The varied topography features tall pines, fir, cedar and oak, seasonal creeks and many terrific views to the east. 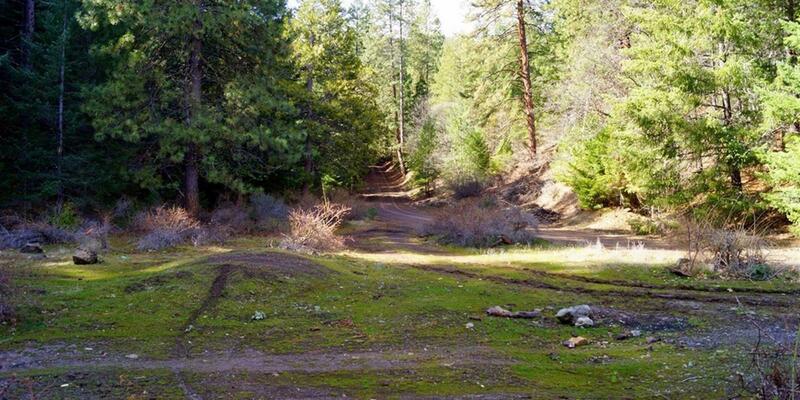 Together with a rich history of gold mining, this would be a great property for the gold mining enthusiasts; hunters; hikers; ATV's and more. 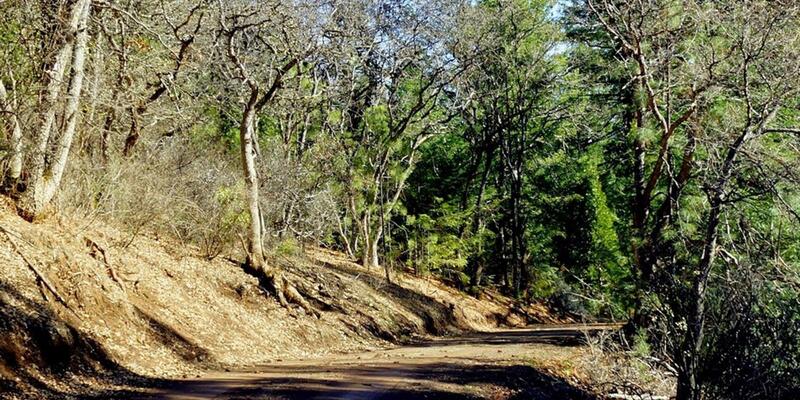 Accessed by a county road, the acreage consists of 2 adjacent county parcels with approximately 352+- deeded acres of patented land. 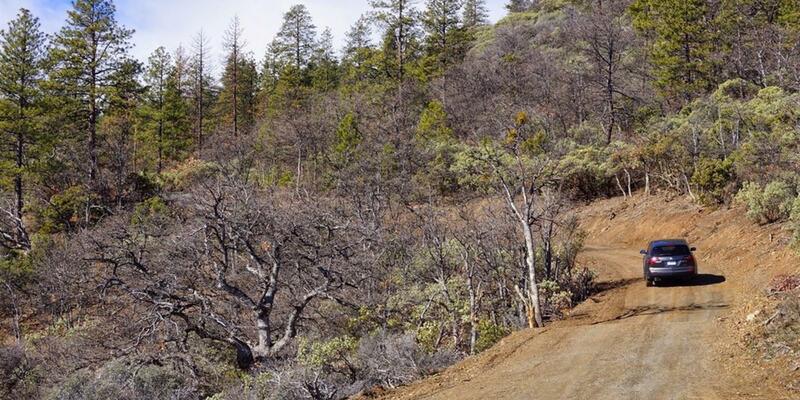 Topography is sloping to steep with elevation ranging from approximately 3000' to 4300'. It is bordered to the north and south by federal land, and to the west and east by private land including large timber companies. Gold in veins was discovered on the property in 1883. In production until 1935, the Hazel mine reported production of 40,000+ ounces of gold. The mine has been developed by five adits which vary in length from 100 to 1500 feet. There are 3 distinct gold bearing quartz veins identified including the Potato Patch vein which leads to an underground 1500 square foot room known as the Bridal Chamber, where “free gold festooned the sides and walls” of the chamber. 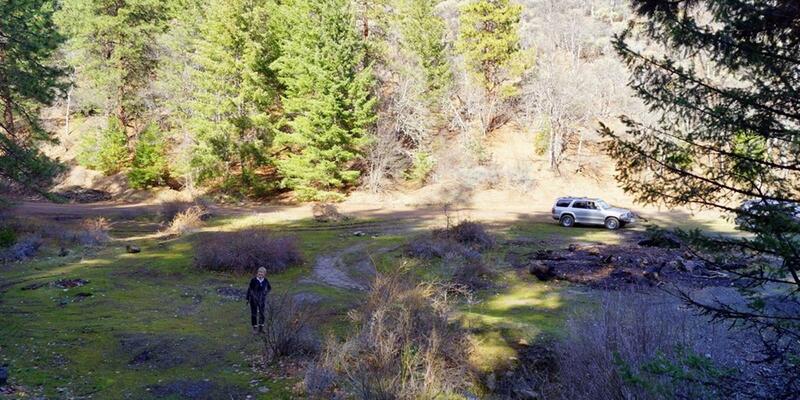 There are 9 ore and waste rock dumps on the property containing approximately 92,000 short tons of material, grading approximately 0.024 opt gold. Reports indicate that in the later stages of mining, the ore ran 1-5 ounces of gold per ton. 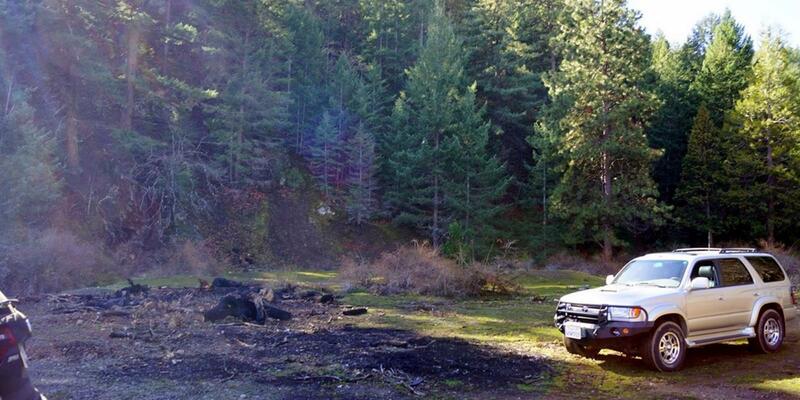 OUTDOOR RECREATION: The variety of terrain and wildlife offers opportunities for hunting, hiking, exploring and ATV's. VIEW SITES: Several view sites for homes and cabins. 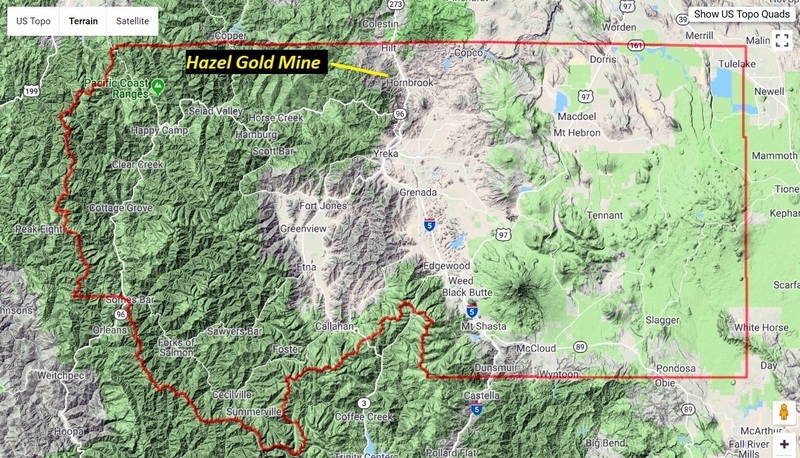 GOLD: From one of the geologist reports: "...possibilities appear encouraging for discovery of more ore either as a continuation of the known zones, or as new discoveries. 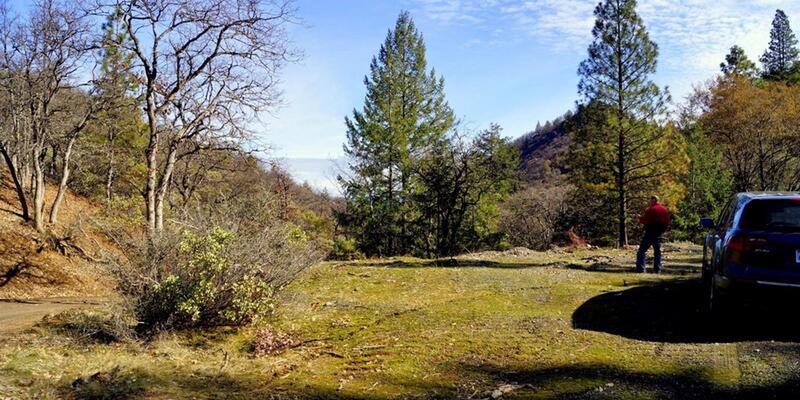 Enough prospective ground lies within the present property to be an attractive proposition to the owner." 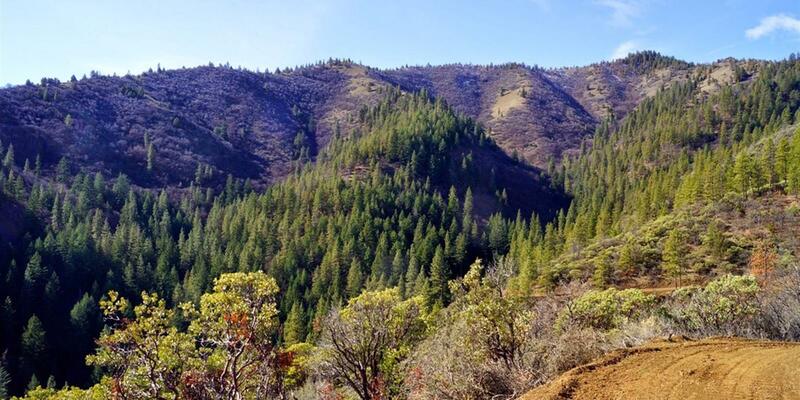 Just south of the Oregon border, The Ash Creek property is located in California's northern Siskiyou County and approximately 2 miles southwest of the small community of Hornbrook. Call representing broker for more information. Geologic and appraisal reports available to those that are interested in the minerals.